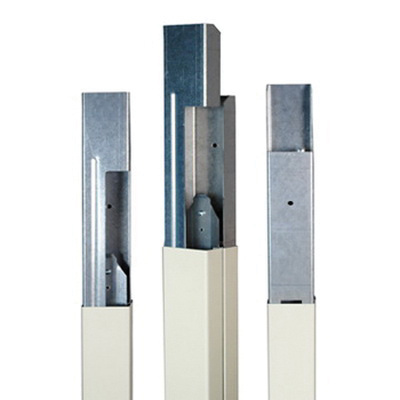 Wiremold Tele-Power® 25DTC Series Rectangular blank steel pole extender in ivory color, features steel construction for added durability. This two-compartment extender has a dimension of 10-ft 4-Inch x 2-1/4-Inch x 2-5/16-Inch. It is perfect for commercial open office landscapes, schools, labs, stores and manufacturing plants. Blank steel pole extender is UL listed.